When I realised I'd accidentally booked Black Friday off work I did the only thing any sensible person would do: I hibernated with a good book. Money may not be in abundance in my household, but sanity is much more valuable and the last thing I wanted to do was lose it fighting my way through a crowd of 'bargain-hunters' buying things they don't need simply because they're on sale. But enough ranting, this week's post is actually about the following day on the calendar: Civilised Saturday. The book world's antidote to a day of shopping hell, this event is all about popping along to a good bookshop, enjoying the atmosphere and being generally relaxed, happy and more socially advanced than the day before. 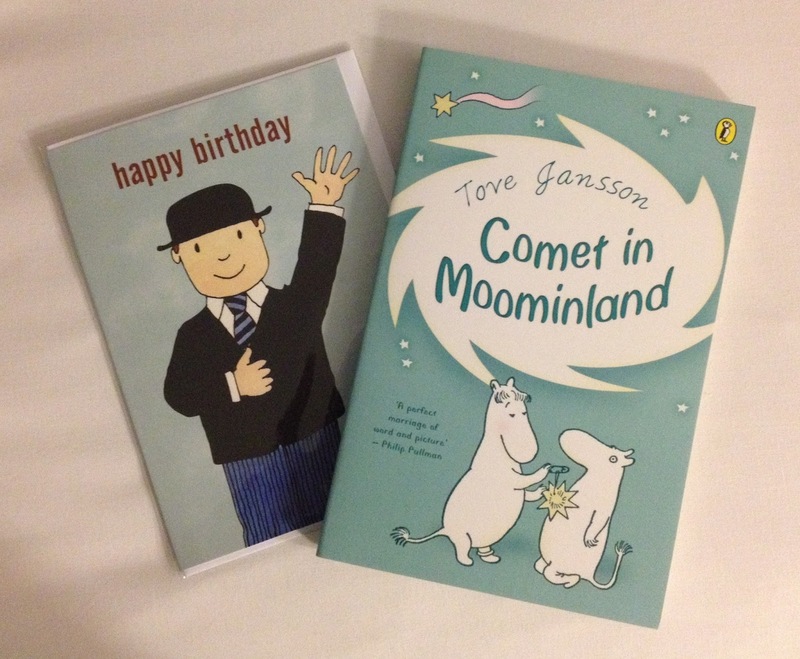 Okay, so bookshops are always more civilised than everywhere else, but on this particular day they were even more so. For instance, although this was my first visit to Wenlock Books in Shropshire I'm pretty certain it's not every day the bookseller greets visitors with a: "Hello, would you like a glass of Prosecco?" Although I can be certain they'll always offer a warm welcome and friendly atmosphere. Free fizz was a nice surprise and although I limited myself to a half glass, it was lovely to wander around the bookshop, nursing my drink and feeling like I was at a high class drinks party (only much more fun). The bookshop itself is split across two floors. The ground floor is dedicated to new books, including a small but considered fiction section, while upstairs is secondhand. At the time of my visit this floor was also home to a selection of free hot drinks*, biscuits and cakes. All were homemade and I can confirm they were delicious. The nature of the old building means neither floor is strictly one level, with steps and beams and period features vying for your attention in between the books. In among all of this are quirky details such as interesting bookends and a selection of thought-provoking (and useful when it comes to the random steps) signs. It's a beautiful setting and the more I explored and observed the more I found myself longing for Wenlock Books to be my local. I'd like to say this was due to one specific magic ingredient (not the fizz, I only had half a glass), but really it was the combination of people, place and all those individual things that mix together to make bookshops such welcoming destinations. 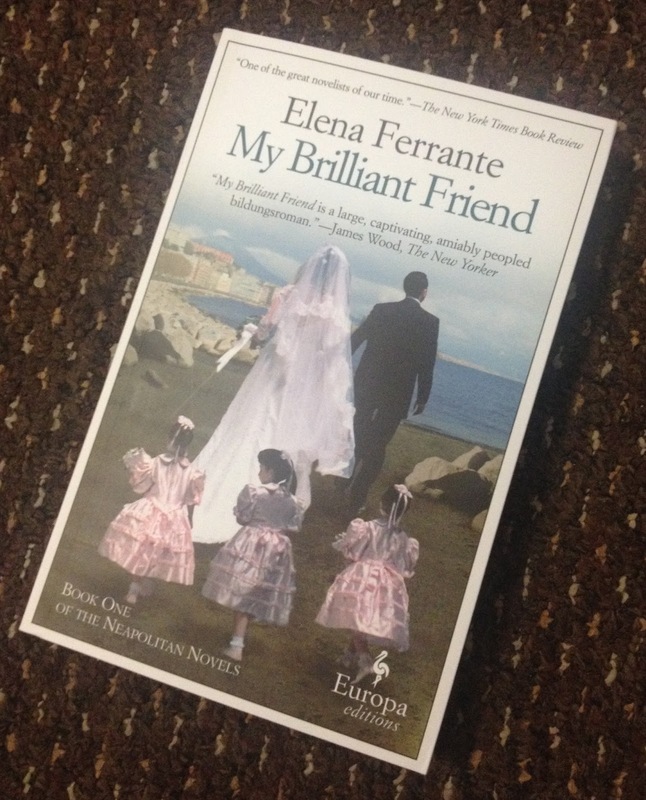 The bookshop may not be near my home, but I consoled myself with the knowledge it's at least somewhere to visit as often as I can and set about choosing a book as a reminder of this first encounter (Elena Ferrante's My Brilliant Friend). 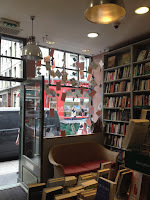 I may have visited on a specially designated day, but I'm certain the relaxed friendliness I encountered was pretty much the bookshop experience – minus the fizz – on any day of the week. Which could be something to remember when you next find yourself looking for an escape (from the Christmas shopping). *a nearby kettle and cups indicate free tea and coffee are a regular thing for browsers to enjoy. Blackwell's High Holborn has a lot to answer for. It's one of the places where my teenage self fell in love with bookshopping; it's where I first realised how big and wide the world of bookshops is; and it introduced me to John Wyndham. 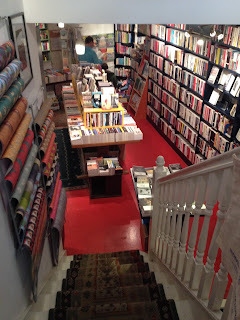 Taking them one at a time, I've already explained the first in my post about the bookshop's original incarnation, which also included a little about the second (it was thanks to Say What You See that I first found myself wanting to meet so many different bookshops). Which leaves us with John Wyndham. But as he wasn't even the author I was visiting the bookshop to buy you'll have to be patient. On the occasion of my 'official' visit I was hunting down The Dinner by Herman Koch. Picked out by a book club I'm a member of, instinct had told me it was about time I visited Blackwell's High Holborn to find it. Instinct was correct. The new incarnation of this bookshop may be smaller than in its previous life, but the quality of books on offer hasn't been diminished. 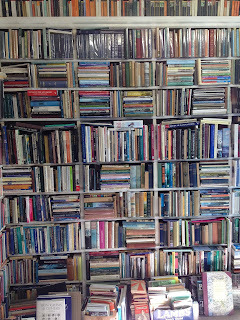 Where in the past there was a round wall of fiction, today we have islands to wander through, the 'more than books section' I've spent a small fortune in over the years also remains and – should you need an energy boost – there's now a Benugo cafe within the bookshop. 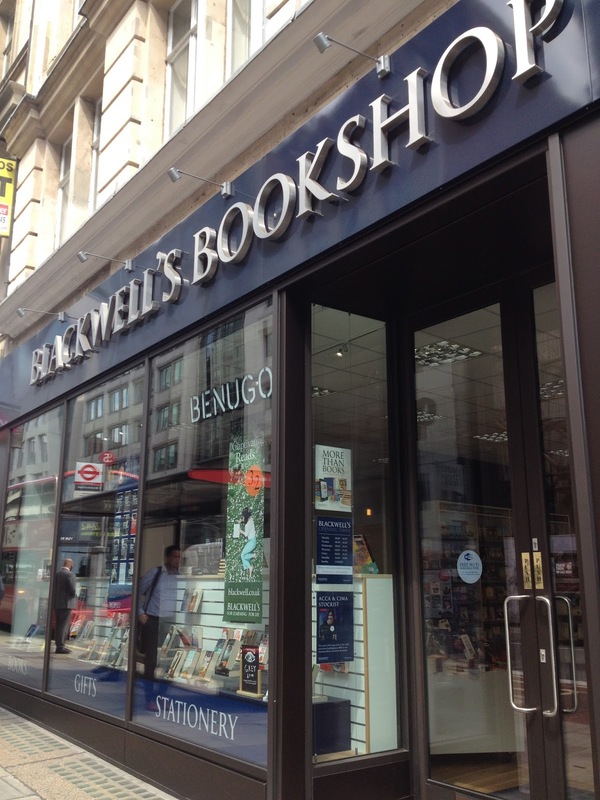 Most important of all, Blackwell's High Holborn continues to be a bookshop that's perfectly stocked to meet my needs. I'm sure it wasn't the only place to have had the book I was looking for on that particular day (I'm ashamed to admit the visit in question took place a few months ago), but part of the joy of counting a whole host of bookshops among your 'friends' is knowing their different personalities and who to turn to when. * And as with my everyday friends, such knowledge builds trust. Which leads us to John Wyndham. He's not an author I'd previously been interested in, but when the bookseller behind the @BlackwellsHH Twitter account told me I should read three particular books I took him at his tweet. I took the next opportunity to return to the bookshop, where I picked up The Day of the Triffids. 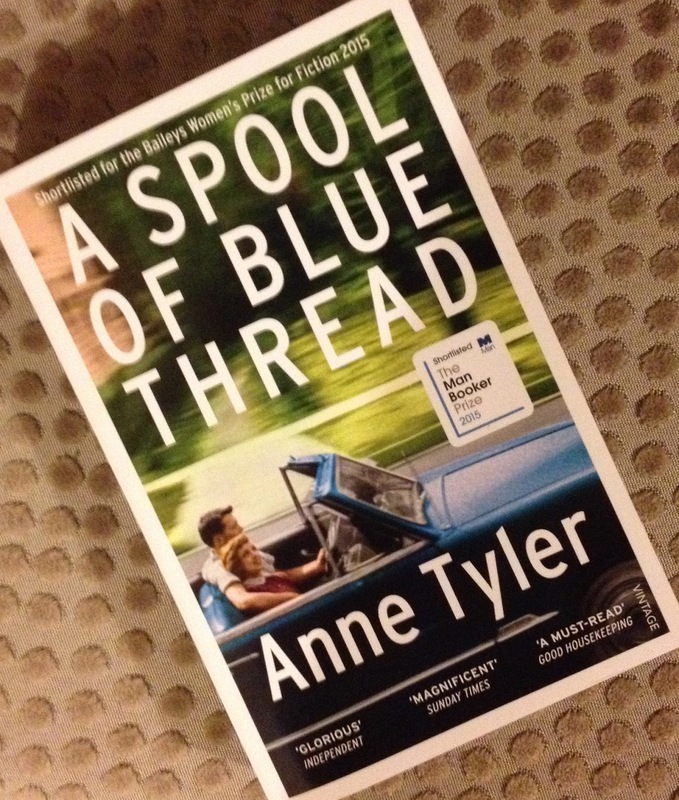 The bookseller was right, it was a brilliant read and swiftly became one of my top ten favourite books. Before I knew it I'd also read The Midwitch Cuckoos and now The Kraken Wakes is at the top of my TBR pile. Blackwell's High Holborn isn't my local bookshop, but as a result of any number of booky conversations it's long been somewhere I've trusted to understand my reading needs and make recommendations accordingly. Which is what all good bookshops should be – if you take the time to get to know your local you'll understand what I'm talking about. *Yes, I'm aware that sentence probably makes me sound a little crazy, but every bookshop is a product of its booksellers and the very nature of their jobs means all booksellers have great personalities. Fact. Okay, so I'm not much good at writing in the third person and you've probably guessed who the woman is, but hopefully you get the idea. One day I was sleepwalking through life, the next day I'd resumed living it. I'm not about to go into the 101 things that happened to fall into place to start me writing the blog – it'd be far too self-indulgent and not particularly relevant – because what really matters is the fact I did start writing it, and benefitted from the surprising side effect of a new lust for life. 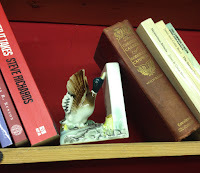 My weeknights became the perfect time to plan and write about bookshop adventures and as for my weekends, a look down the geographical index page shows just how packed they've become. Where previously I'd use quiet moments in strange places to hide away with my book (admittedly still a common occurrence) nowadays I seek adventures, searching out the nearest bookshop and new experience therein. Which is why when I went to a south coast wedding I used the few hours of down time as an opportunity to hunt out bookshops instead of hiding away with a book. Badgers Books in Worthing caught my attention because it was almost exactly halfway between the wedding reception and my bed and breakfast. It was an excellent place to pause in my tour of the town before continuing the celebration, and with books piled up on displays outside the shop I defy any reader to walk past without finding a bargain or five. A secondhand bookshop, rooms of books extend from the front allowing quiet browsing and exploring within easy reach of the friendly booksellers by the till. 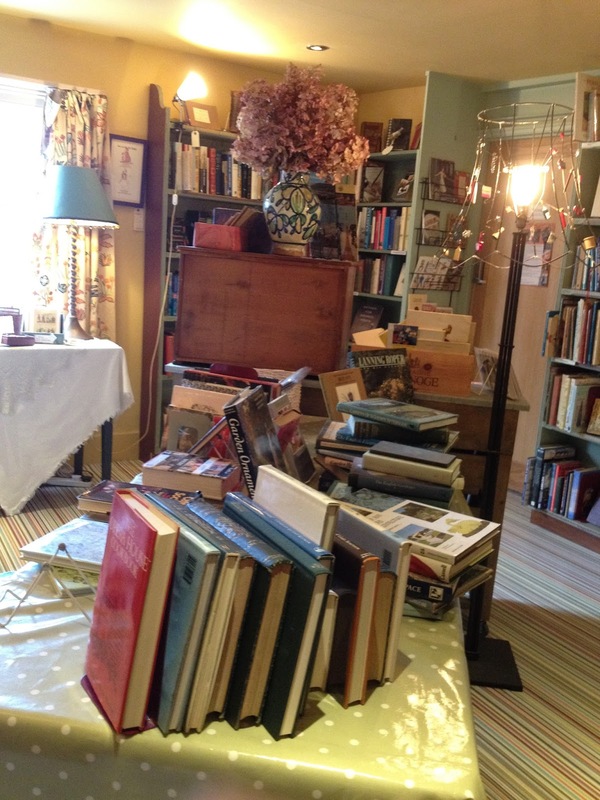 It's a lovely space, but what really makes this place special is the books. They're organised and sorted while also being just a tiny bit untidy. Not messy, but sort of rough enough around the edges in the way excess stock is piled up, and standing and looking at a wall from a slight distance is like appreciating a work of art. During the time of my visit the booksellers were politely looking through a selection of books brought in by a customer, who was proudly/ignorantly declaring they no longer need bookshops because they own an e-reader. It made me want to give the booksellers a medal (or hug) for their patience and manners while I quietly browsed and listened and thought "her loss". Once normality resumed, I ventured back to the fiction in the front room, where the booksellers were chatting books and answering enquiries from much nicer customers. 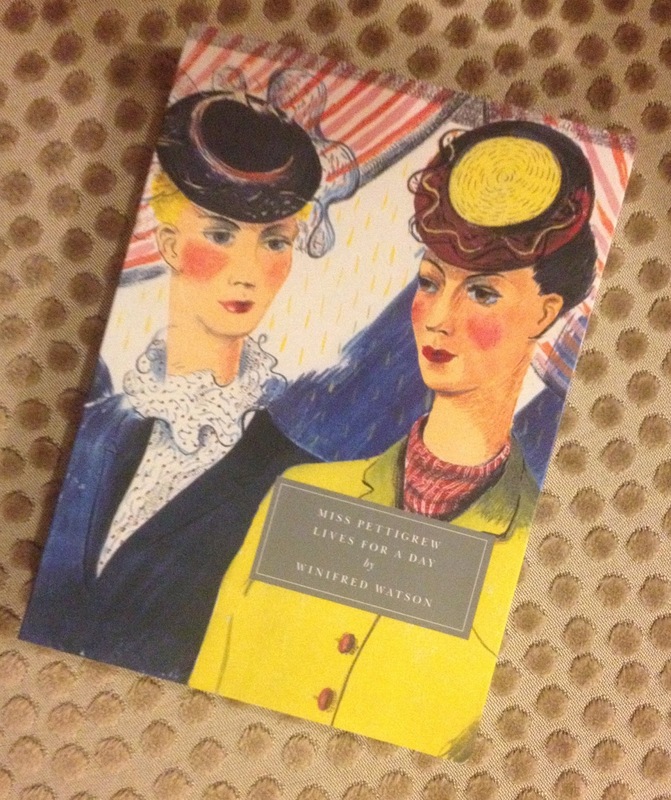 It made for happy, relaxed browsing as I worked my way along the shelves, being rewarded with a copy of Winifred Watson's Miss Pettigrew lives for a day. A Persephone book, this story of a woman who leaves her comfort zone and falls into life has swiftly become one of my favourites and – like this bookshop – I can't recommend it enough. The book won't change your life, but it's a lovely reminder of what a difference a little bravery and a lot of hope can achieve. Given how regularly I can be found inside a bookshop, most of my visits inevitably take place on my own. It's not that I don't want to encourage friends to join me, it's simply the law of averages: think of your favourite past time and then consider how often non-participating friends volunteer to take part. The results are probably comparable for me and accompanied bookshop visits. Which is how, in the middle of this week's visit, I briefly found myself feeling a little alone (spoiler alert, the loneliness didn't last long). 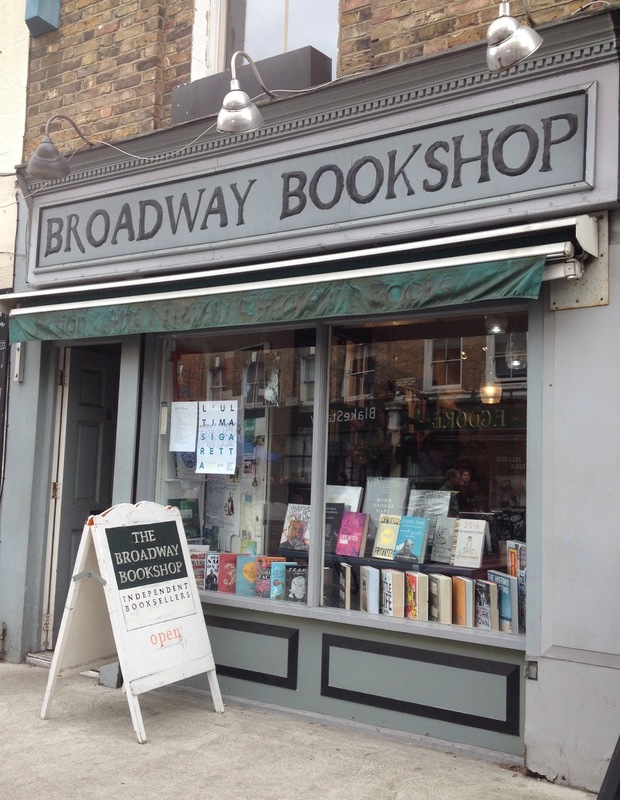 The momentary loneliness happened when I left the hustle and bustle of a busy London market behind to enter The Broadway Bookshop. Stop number two on my Books are my bag bookshop crawl, it's located almost at the end of the road where the market meets the canal, with the small shop front giving no hint of the atmosphere hidden inside. Even when you first enter, the treat that awaits isn't immediately apparent, as just a small display of books is seen next to a narrow walkway by the till. 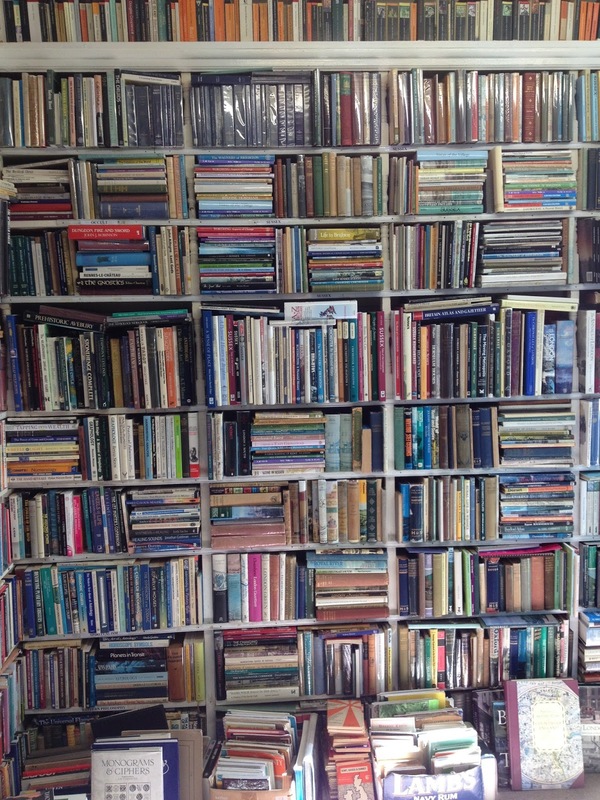 It's when you squeeze past whichever customers are waiting to pay that you discover the real appeal of this bookshop. Down a few steps you enter what feels like a sort of secret, private library packed with warmth, friendliness and beautiful books. It's a bright and cheerful place and somewhere to feel at home, which is exactly what one young family was doing during my visit: Curled up in the children's section a mother read to her young child while a man selected books to take home. 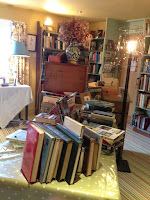 It was a lovely first experience of The Broadway Bookshop and made me more than a little envious of their cosy enjoyment. Not wanting to disturb, I got stuck into the books. And what a collection they are. 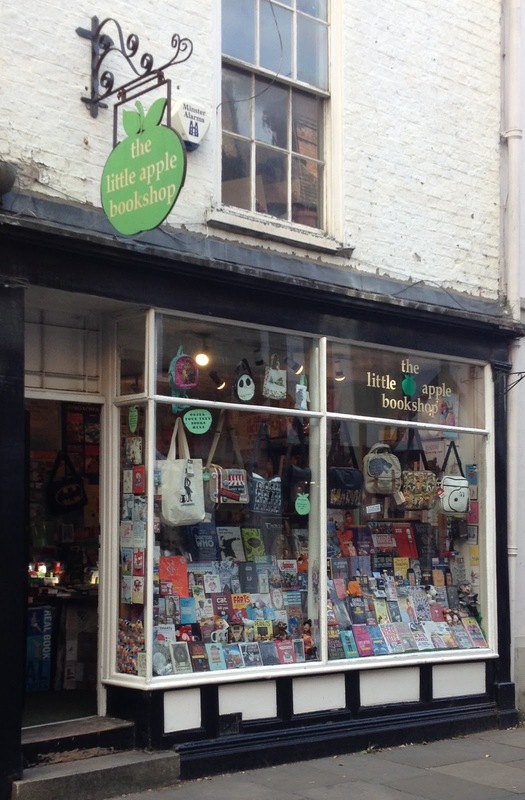 This is quite definitely a literary bookshop, but not in the sense that it should scare off timid readers. It's a place where you can feel confident that no matter what you buy it'll be good. Also, if you fall in love with a particular author found on their shelves, you're almost guaranteed to find the rest of their works there too. Which is how I started dithering over a number of fascinating-sounding titles. 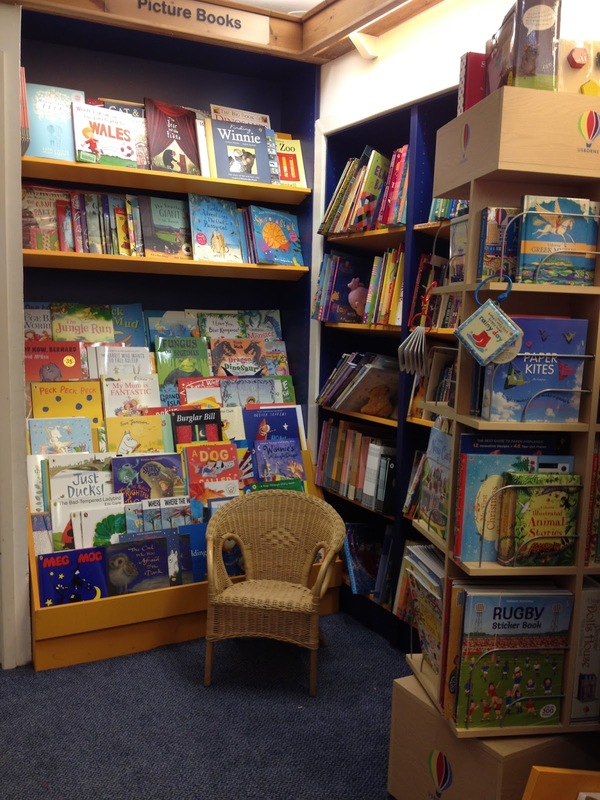 During all this browsing, including a brief inspection down a few more steps to a nook perfect for hiding away in, the bookshop had begun to fill up and I'd naturally been tuning in and out of the quiet reading of the mother to her child. Torn between wanting to sit down with the family and not wanting to intrude on a tender moment, I instead zoned in and out of the other conversations around me. Conversations varied but included favoured and impossible reads, authors and where people were going for lunch. It was a great experience, made the more so by the layout of the bookshop as chatter was shared over the shelving display. However it was also where my brief moment of loneliness kicked in: here I was, in a crowd of happily chatting book lovers but without the company of a friend of my own for their opinion. Okay, so the helpful bookseller may not be my new bosom buddy and he's unlikely to make my Christmas list, but one thing is certain: We're all friends when it comes to bookshops. 6 Broadway Market, London Fields, London, E8 4QJ. A month or two ago some friends and I enjoyed a long weekend in Yorkshire. It was the end of the summer but the weather was lovely, the scenery beautiful, the people friendly and the beer – ostensibly my reason for visiting – delicious. The last night of our visit was planned for Ilkley, a spa town next to the moor, of which my only prior knowledge was that it's home to a good bookshop and a Bettys. Finding ourselves in a pub 20 minutes from the town, we somehow got it into our heads that walking the remainder of the journey was the way to go. 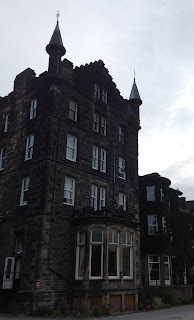 It was a decision that would ultimately influence my whole experience of Ilkley as we skirted the moor before arriving at our hotel above the town, glimpsing dark turrets in the early evening light. It was a massive contrast to the generic chains we'd previously visited and I'll admit the dark wooden furniture and occasional creaky floorboard might not be to everyone's liking, but to me it was perfect. I found myself wishing for wind, rain and thunder and wanting to cancel all plans so I could curl up with Northanger Abbey or Wuthering Heights. Instead I went to the pub. Which meant my actual first experience of the town involved dark streets and the susceptibility to believe anything that comes after I've had a pint or two: think Catherine Morland's gothic imaginings on overdrive. When morning came the skies were grey and a slight drizzle hung over everything. My dreams had come true. The gothic atmosphere was slightly broken by our early morning trip to Bettys for breakfast (have the rosti, you won't regret it), but as a timely reminder Ilkley can be happy and bright I wasn't going to complain. Then it was time to return to the glorious British weather and await the opening of the much-anticipated Grove Bookshop. I'd previously been in touch with to check opening hours, so confess to being a little disappointed when their promise of skeleton staff turned out to not be meant literally, on the plus side I did get to have a good conversation with the bookseller. 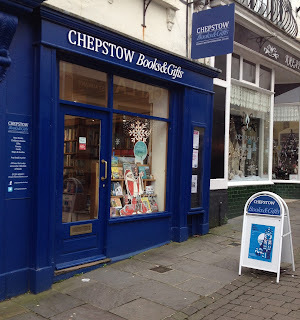 My keenness had meant I was (briefly) the only customer, so this chatter stretched around the shop as I excitedly explored, enjoyed recommendations and asked 101 questions about the bookshop, hotel, town and anything else that came to mind. The Yorkshire friendliness is well-demonstrated here. As more bookshoppers began to arrive I left the bookseller to it while I enjoyed the gentle buzz that was developing in the room. It's hard to keep your mood in a gothic novel when young families are filling the children's section and inquisitive visitors asking about the local interest titles, and I soon realised it didn't even matter that the sun had come out. Grove Bookshop is everything I'd want my local indie to be: spacious, busy, well-stocked and friendly, with the power to lift even the darkest of moods. (Although I did try to cling to my atmospheric imaginings when I bought Thirteen Guests by J. Jefferson Farjeon.) It's a must-visit destination on the book lovers' map and easily a good reason to visit this West Yorkshire town. And if – for some bizarre reason – you're not a fan of books, it sits above Grove Music so you can probably happily get lost down there instead. I say probably because as it was a Bank Holiday I didn't get to pop downstairs, but that's okay. It'll be something to do another day, preferably one that's particularly dark and stormy. What if you try exploring? London brings out the tourist in me. Not the stereotypical snap-happy, loud-talking, slow-walking visitor of all the obvious destinations, but an explorer of strange corners, always looking up at the tall buildings and pausing to enjoy random fun as it occurs. I'm not a Londoner so I'm generally ignorant of the random fun going on around the city. Instead I rely on friends, Twitter, Ian Visits and luck. 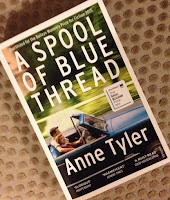 For this week's bookshop the experience was entirely down to luck. Admittedly, I had set out on my Books are my bag bookshop crawl with the intention of visiting a bookshop on Broadway Market, I just hadn't anticipated finding two bookshops and a bright and colourful market. (Frustratingly I later found out there are actually three on this road, I can only guess the third was on the other side, hidden from my view by those market stalls I'd been so busy enjoying.) It was a brilliant experience, with the wonderful smells of street food and fresh produce complemented by music and a general buzz. The place I'm sharing with you this week is Artwords Bookshop, which was on the left side of the market as I walked from London Fields tube. It has a corner spot and a striking blue front, but even with these two things in its favour I might not've noticed it had I not paused to listen to the musicians who'd set up on the junction outside. I'm not blind, but other than the occasional glance at street numbers on shop fronts, my attention had been entirely taken up by the sights and smells of the market – I could've hung around and enjoyed them all day. As for the bookshop itself, it was cool and assured. Honestly, before I started this blog it was the kind of place I'd probably have been a little scared to enter. Thankfully I now know better. However the books are there to open our eyes and nowadays I'm much less self-conscious and much more willing to dive in. As were lots of other people at the time of my visit: the bookshop was crammed. In a good way. It felt as though a little of the market atmosphere continued inside. Which is only natural given the selection of books available to feast on. Art is in abundance but I also dawdled around history, cookery, humour and more, eventually choosing to buy What if? by Randall Munroe of xkcd fame. The combination of science, absurdity and stick figure cartoons was further reassurance of my right to be there. * If I'm totally honest, in the past a certain level of shyness would never have seen me traipse across London to randomly encounter a wonderful market while on my way to a bookshop I'd not previously met. 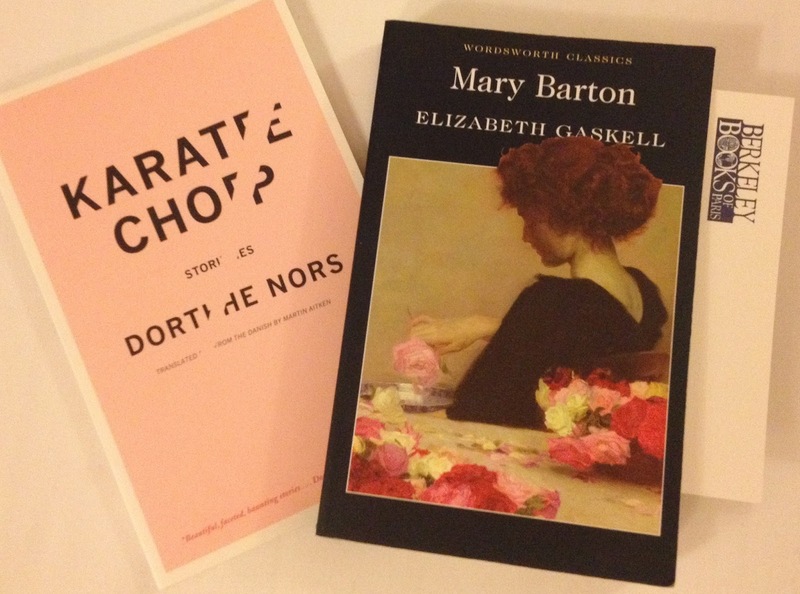 It's amazing where a little bit of bookshop stalking can take you. There aren't enough hours in the day. Or even days in the week. Especially when work's really busy, a friend has a birthday, you're engrossed in an unputdownable book and counting down to the annual Books are my bag day of bookshop parties. Which is why, despite a month of excitement, I found myself Googling routes to Dorset at 9pm the night before. It was at this point I discovered the bookshop I'd planned to visit is almost three hours drive from my home, which wouldn't've left enough time for a trip to Monkey World while I was in the county. I needed a new plan. 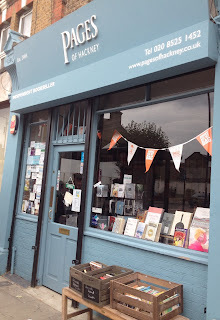 Fortunately, I remembered previous bookshop crawls and another blogger's* recommendation to visit Pages of Hackney. Having started in the south last year, the north east seemed a good place to go this time. The first stop on my route took me to London Fields overground station, followed by a walk along the bustling Broadway Market and the unexpected discovery of Artwords Bookshop. Packed with books dedicated to visual culture, there was no doubting the cool, questioning attitude of this bookshop and its customers. All of which was about engaging with the world and opening minds. 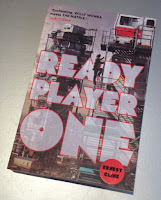 This isn't the bookshop to visit for a mindless holiday read, but lighthearted reading could still be found: I bought What if? by Randall Munroe. 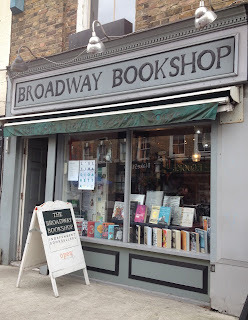 Moving to somewhere I had planned to visit, The Broadway Bookshop is a short walk further on, at the end of Broadway Market near Regent's Canal. A small front opens into a surprisingly large bookshop space, which saw a steady flow of shoppers young and old. Awed by the wall of literary fiction in front of me, I could've happily bought half the shop as I encountered author after author that I've long meant to read but never quite been brave enough to try. Thankfully, a bookseller was available to help me narrow down my selection: The Third Reich means I can finally begin my acquaintance with the works of Roberto Bolaño. Walking along the Regent's Canal, I eventually spotted the sign for my next stop sticking out over a busy high street but, as I got nearer something wasn't quite right. A note in the door told me I'd missed Victoria Park Books – apparently by a matter of weeks – as it's now joined the ranks of the virtual world. Admittedly, it does still have a presence in the form of Story Habit, but I can't help but be saddened by the closure of another bookshop. If this isn't a reminder of why initiatives such as Books are my bag are so important then I don't know what is. Staying positive, it was time to head over to the highly recommended Pages of Hackney. 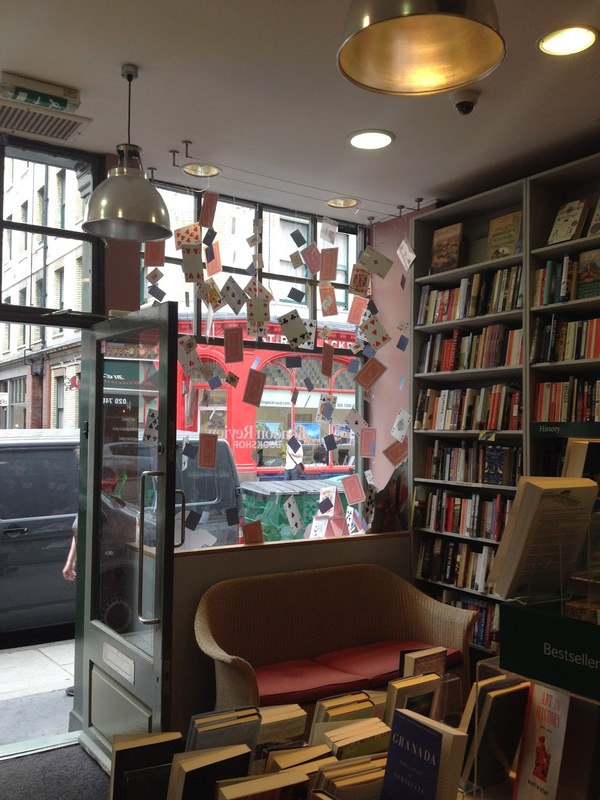 A tiny bookshop on a busy street, it was here I got my first glimpse of BAMB orange bunting. 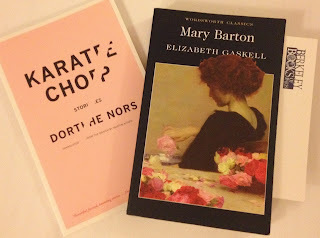 I had no idea what to expect of this bookshop, and renovation works meant my browsing was confined to one space, but the quality of what I did see and the bookseller's friendliness proved the recommendation had definitely been deserved. 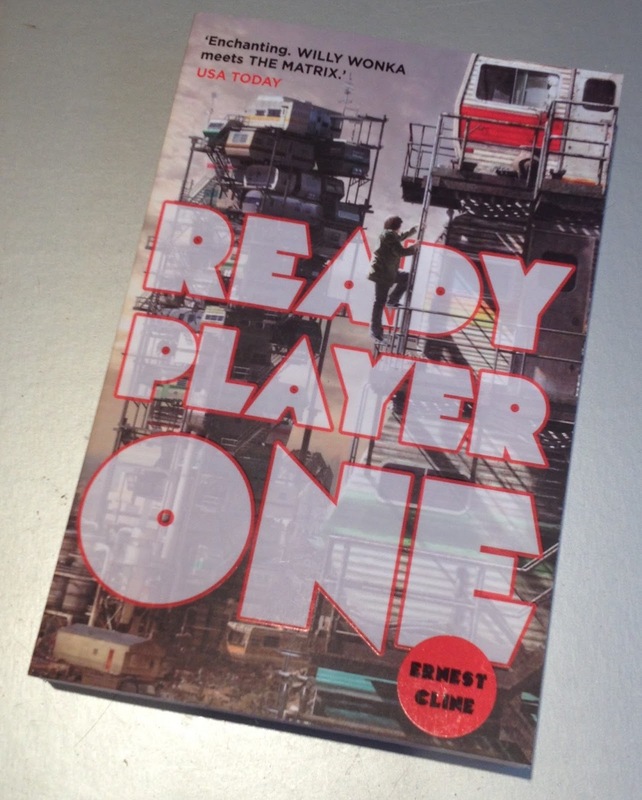 I picked up one of their recommendations: Ready Player One by Ernest Cline. 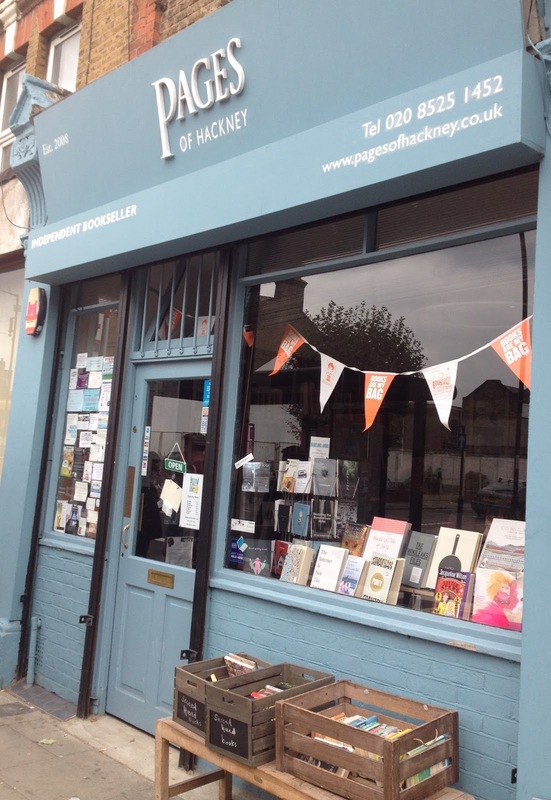 A short walk away, Stoke Newington Bookshop and a bookshop party came next. Art was the order of the day as I explored this large and colourful space, occasionally stopping to read while also trying to sneak a peak at the efforts of the artists and also enjoying the general banter and friendly fun flowing around the shop. Picking up Dear Bill Bryson by Ben Aitken, I finally got a glimpse at an artist's work when I spotted a tote bag on the counter – with a sketch of me browsing in the bookshop! An unexpected treat, the bag now has pride of place in my growing tote collection. Heading back into town I stopped off at Old Street Station for a visit to Camden Lock Books. Offering a great selection of new and discounted books, the atmosphere of this Islington bookshop easily reminded me of the destination's namesake and if it hadn't been near closing I could've happily hung out here for hours. As it was I still struggled to select just one book from the discount table in the time I had: The Forever War by Joe Haldeman won out in the end. Finally, as has become tradition for my Books are my bag crawls, I made my way to Foyles. This time ending my day with hot chocolate and cake as I settled down with one of my purchases while waiting to meet a friend. Parties may not have been taking over each bookshop I visited, but friendly booksellers, happy browers and the generally great atmosphere I encountered ensured fun was still had. Because let's face it: Bookshops will always be my bag. 20-22 Broadway Market, London Fields, London, E8 4QJ. 70 Lower Clapton Road, Hackney, London, E5 0RN. 159 Stoke Newington High Street, Stoke Newington, London, N16 0NY. Old Street Station, 4 Saint Agnes Well, Islington, London, EC1Y 1BE. 107 Charing Cross Road, London, WC2H 0DT. *I'd love to thank the blogger personally, but I was so busy noting their recommendations I'm afraid I've forgotten who they were.